There are various reasons that you may need to move your partner and family on a short or long-term basis, including military service families, moving for work on a temporary basis, relocating to a new location but not yet ready to buy a home, or if your family may be displaced due to fire or water damage to your home. How to prepare your family for such a move, especially when it’s only temporary and what type of housing will be most comfortable for you and your family during this transition? Plan Ahead: Since children thrive on familiarity and routine, and let’s admit that most adults do too, planning ahead will make all the difference to make your children, partner and pets ready for the challenges ahead. Before the move, choose the best neighborhood that will fit your family’s wish list: choose the school district you want to be in, find an area with close proximity to shopping and recreation; and make sure the community is in a kid-friendly areas with parks, biking trails & playgrounds nearby. Good Communication: No matter what the circumstances, the most important way to prepare kids to move is to talk about it. Give them as much information as you can about the move, the whys and hows, and what they can look forward to. Get them involved by doing research on the new area and places they want to explore. Be receptive to their fears, questions and negative attitudes so you face them head on and prevent as much resistance to the move as possible. 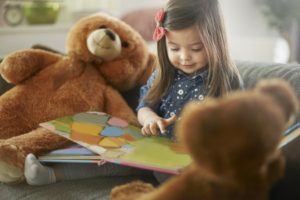 If the children are small, have them draw pictures of themselves in their new home and use an age-appropriate story to explain the move in an excited way. Your attitude will often gauge how your kids react, so even though you may feel stressed, try to be positive around the kids. Bring some of home with you: If you can, take your kids favorite toys, bedding, and favorite pieces with them so they can take a little of ‘home’ with them. Make an effort to get their room settled first so they can feel settled as soon as possible. Buy a few new pieces of decor or toys to get them excited about their new space. Once you get settled, have them create some fun artwork to fill their new space and let them have a say about how they set up their room. Home also means the friends and family that you’re leaving behind so make sure they can talk to their friends, grandparents and schoolmates as much as possible via email, phone or webcam; and make plans to visit them before you even leave so they have something to look forward to. Make new memories. As soon as the stress of the move is over, make plans to visit local attractions at some family-friendly venues that you know your children will enjoy. If your community has a pool or playground, make sure to visit them as often as you can. Take a walk outdoors, play at a nearby park and bike local trails as research shows oudoor activity can have a quick, short term lift in one’s mood. 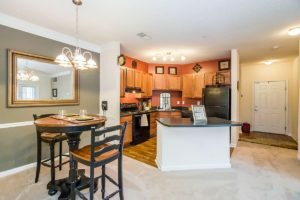 “Home-Like” furnished housing: In contrast to a typical hotel room, we have furnished apartments and townhomes in upscale, amenity-rich communities with the layout of separate living, dinning and sleeping areas. A fully equipped kitchen allows easy preparation of home-cooked meals. A washer and dryer in each apartment allows for convenient usage. Each of our community’s have the following amenities: fitness center, clubhouse, swimming pool and business center on-site. Some communities have tennis courts, dog parks, dog grooming stations, walking trails near by and even car washing stations. Flexible Locations: We only choose the highest quality communities that are in the safest areas and most convenient neighborhoods. When you work with our staff, we’ll find the best community that is close to your work, shopping, dining and recreation, as well as the schools your children will be enrolled in. Flexible Bedroom options: We have one, two and three bedroom furnished apartments. Each bedroom has a large walk-in closet attached to the bedroom. We will also make sure the bed types (king, queen, twins) match your family’s needs. We are able to provide TempurPedic bed upgrades for extended stays. If you need a bedroom to be converted to an office, we can arrange that for those who work from home. Flexible Departure Dates: If you are building a home, or rebuilding a damaged one, completion times can vary and be unpredictable. That’s okay because with Ideal Corporate Housing, you can extend or shorten your stay as needed with advance notice, and you’ll never have to worry about having to move to another unit if you lengthen your stay. Growing Service area: We provide our corporate housing solutions in the following states: West Virginia, Kentucky, Tennessee, and soon we’ll be expanding to Ohio and Indiana. If you need temporary furnished housing outside our service area, we’ll find what you need so give us a call today (865) 266-8224 or fill out our Free Quote form. Life is about change especially in our constantly changing world, but it’s how we handle that change that can affect our experience. Change gives us and our children a chance to grow, explore and learn about ourselves. See this change as a new adventure for your family and let Ideal Corporate Housing make your transition easier!